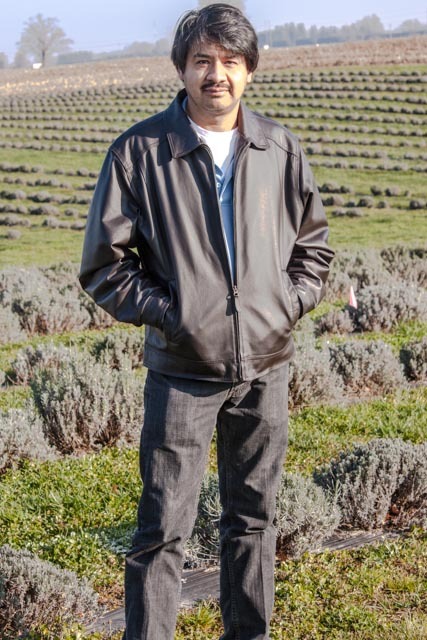 Victor Gonzales planted his first lavender plant in 1997. 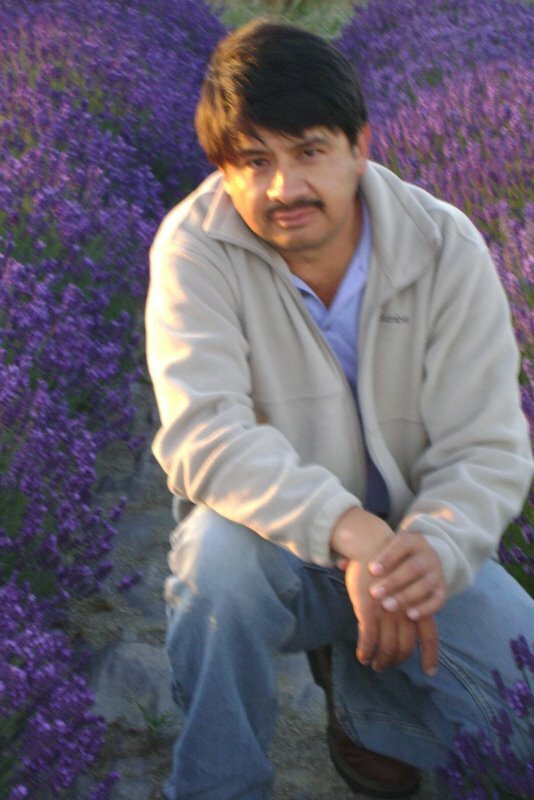 Today, he owns and operates Victor’s Lavender, where he propagates lavender for sale throughout North America. Years of growing lavender presented him opportunities to find out for himself what works and what doesn’t. A sought-after speaker, Victor imparts his knowledge at conferences, in demonstrations and on his CD (available here). 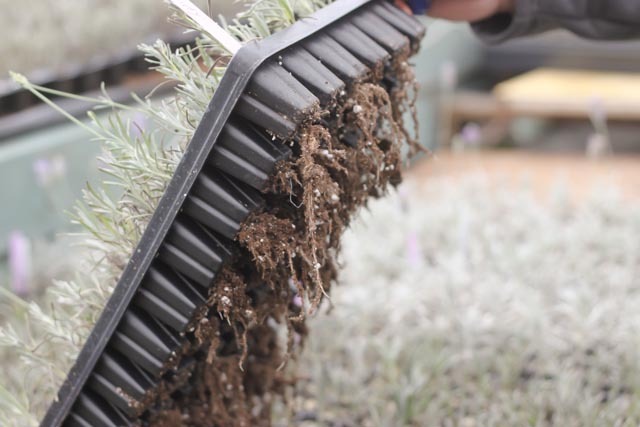 He also consults with growers to help them increase lavender production. His outgoing personality and generous spirit have led him to Lebanon and Morocco to share his knowledge. Born in Michoacán, Mexico, Victor was the second youngest of 12 brothers. When Victor was ten years old, his father went to California for work. In 1986 when President Reagan signed the Immigration Reform Act, the entire family moved to California. Victor was 15 years old. Victor’s first job there was picking fruit in the San Joaquin Valley. The work was hard, and the conditions difficult. Eventually he landed a job in a packing plant. “I was happy to work inside an air-conditioned building, finally out of the hot sun,” Victor said. Everything was going well, and then Victor seriously injured a leg playing soccer. That accident cost him his job. His recovery would take months. He didn’t want to return to picking fruit in the hot sun, so when his brother-in-law told him about job opportunities in Sequim, Washington, Victor along with his wife and young son moved north. “I love Sequim. The mild temperatures remind me of my village in Mexico,” said Victor. At first, he worked three jobs: growing garlic, running a U-Pick operation at Graysmarsh Farm (a berry farm) and waited tables at Los Palomas. He also did occasional painting, construction and the odd handy-man job. Soon, Victor accepted a job at Sequim Valley Ranch. The wealthy owner, who lived most of the year in Hawaii, had hired a manager to clean up the place – fix broken windows, paint and clear debris. Based on word-of-mouth, the manager phoned Victor. “If it’s a plant, I can grow it,” answered Victor. Then they planted 1000 more plants, about 50% died. Victor was watching and learning about the optimal conditions for lavender such as soil type, watering, fertilizer and which varieties would thrive in Sequim’s growing conditions. He saw every failure as a learning opportunity, like a mystery to solve. The manager got Victor a greenhouse. Victor took 20,000 cuttings and planted them in 2 ½ inch pots in light soil. After several weeks, half died. 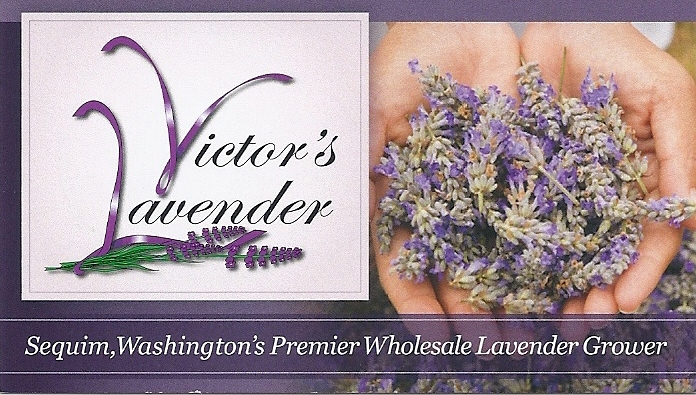 When Sequim Valley Lavender closed door in 2004, Victor’s previous customers tracked him down. They wanted to order his lavender plants. 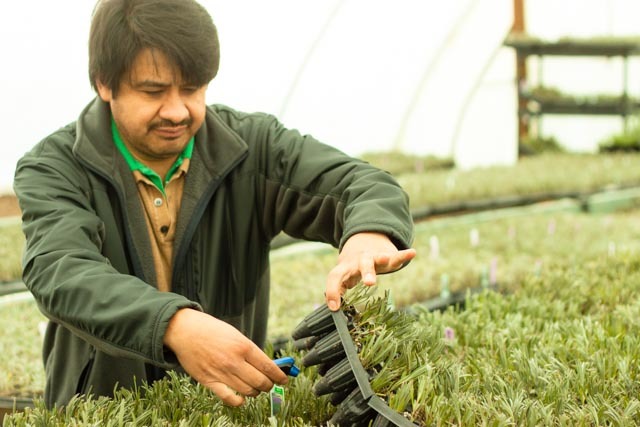 That’s when he began his own propagation business, naming it, what else, but “Victor’s Lavender.” Today, he has four greenhouses, and they are full of lavender plants. Speaking at conferences about growing lavender, Victor always gets rave reviews. Victor begins by telling his audience, “I’ve made every mistake possible, before I learned how to grow lavender.” In the last few years, Victor spoke at many event including: Ontario Lavender Conference (2012), Sequim International Lavender Conference (2012), Northwest Regional Lavender Conference (2011), New Mexico State University’s National Immigrant Farming Initiative (2011) and Sequim’s 1st International Lavender Conference (2000). Recently, Victor entered the retail market. 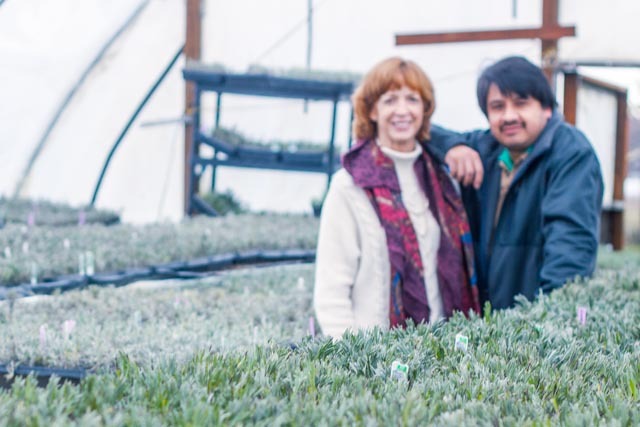 A popular Sequim farm, Moosedreams Lavender Farm, announced its closure as of January 31, 2012. The owners, Elizabeth Norris and Barbara Landbeck, wanted to retire and, at the same time, were looking for a way to continue their organic and earth-friendly product line. They gave Victor their formulas and recipes and shared their production techniques. 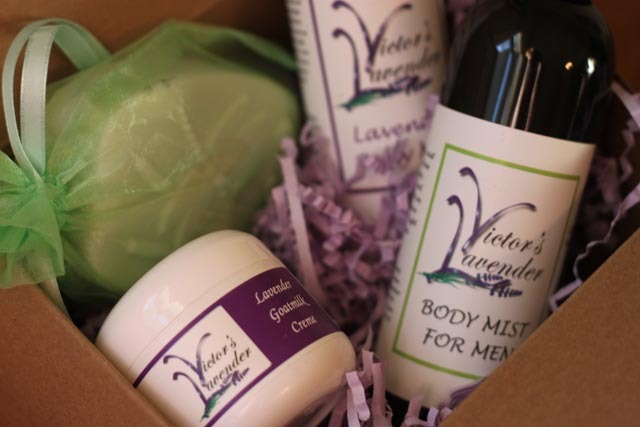 Victor provides these lotions, soaps, and creams to retail customers with the Victor’s Lavender label. He also provides these products to his wholesale customers and, if they prefer, will use their private labels. Victor has a talent for finding “win-win” outcomes: He needs a more steady revenue stream, and his wholesale customers are looking for lavender-inspired, eco-friendly products. What’s ahead for Victor’s Lavender in 2013? In February, Victor’s plants and products will make their début at the Northwest Flower and Garden Show at the Seattle Convention Center. Later in the year, Victor will make two international trips as part of the USAID’s Farmer-to-Farmer program. In June, he will visit Morocco, then Jordan in September. He will take part in Sequim Lavender Farm Faire in July 2013. Give yourself a treat, and find an opportunity to meet Victor. Be sure to tell him Kathy sent you and you will receive a 10% discount. You can also find him on his website: Victor’s Lavender. Victor spent years learning about growing lavender, however, he already knew the formula for success in his life: a generous spirit, hard work and a loving family.